And many more. Many sufferers go through the procedure of attending their medical practitioner for antibiotics, as well as other assorted treatments, many of which fail to improve the situation to any degree. So, what can be done about it? When surgery is suggested as an option for you or your child you may be concerned. However, the surgery is minimally invasive today due to the ever-evolving techniques and equipment. Your ENT specialist will take you through every aspect of the procedure as well as the recovery time. Will I Feel Better Immediately After Surgery? It is true to say that you or your child will feel some degree of pain or pressure in your nose following the surgical procedure. However, this is generally short-lived and can be alleviated by generally available pain medication. There may also be a little bleeding initially, but that is normal with any surgical procedure. It will stop after 2-3 days. If the bleeding is severe or prolonged then you should seek medical help, as this is not normal. You are likely to feel tired after the surgery, which is usually due to the effects of the general anesthetic. Rest is the best cure for this! Expect to take time off work or if your child has had the procedure, time off school. Generally, allow around a week or longer, depending on the procedure that has taken place. Leave it a little longer before playing sports or if your job is active, then you should also take longer off work. Do not blow your nose: It is important not to blow your nose for a couple of weeks following surgery, as this can set the treatment back or cause complications. 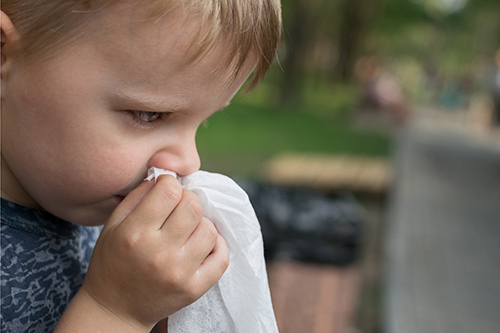 There may be an overwhelming need to blow the nose due to a feeling of congestion, but do not do it! Do not engage in exercise: To many people this may sound inviting, but if you are sports orientated you should not do any exercise that requires effort or contact. A short walk is fine. Do irrigate your nasal passages: If you can irrigate your nasal passages with a saline solution following surgery you will help ease any congestion you feel there, and it will assist the healing process. Do ask about medications: if you take a regular medication ensure you ask your ENT specialist if you can continue taking it following the surgery. There are a few medications that should be avoided post-surgery, but you will receive all the information you need. If in doubt – ask! Your ENT specialist will be able to talk you through the whole procedure and options and as soon as a week or two after the surgery you should notice a marked improvement, and this will increase with time.